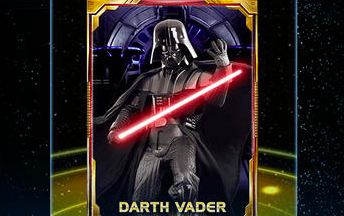 Enjoy Star Wars Day with a 5-star character card from Konami. May 4th is Star Wars Day, and Konami hopes the fourth will be with you in its addictive iOS and Android game, Star Wars: Force Collection. You'll score a 5-star character card so long as you create an account before May 4th, 2014, at 11:59 PM PT. Already a member? Sign-in to claim your reward. For more Star Wars: Force Collection, read our cheats and tips.